Calling all cowboys and cowgirls! Experience one of the most exciting Western-style equestrian events at the Paso Robles Event Center- the Pacific Coast Cutting Horse Association Derby. 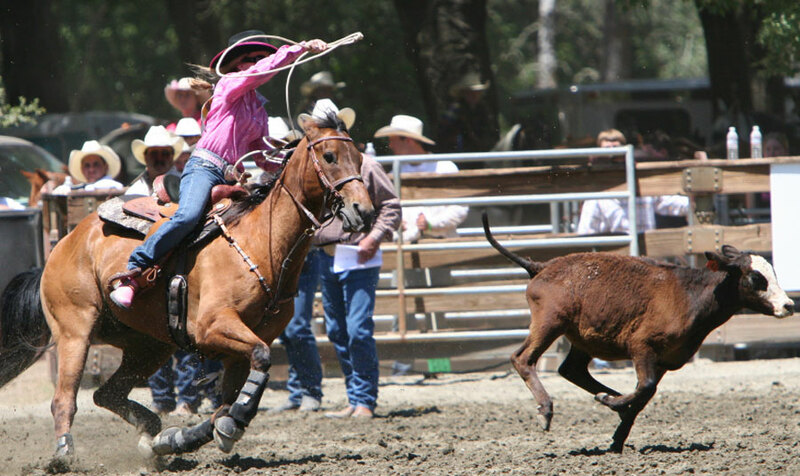 Back by popular demand, the 2013 Holy Cow Performance Horses Roundup is one of the Pacific Coast Cutting Horse Association's most prized events. See the most skilled horsemen in the country ride amazing mares and stallions in this challenging competition where the horse and rider are judged in their ability to separate the cow away from a cattle herd. Cheer on your favorite riders and enjoy the hat-waving Western action from March 9-17, 2013. Held at the Equestrian Center at the Paso Robles Event Center, the 2013 Holy Cow Performance Horses Roundup will feature 4-7 year old quarter horses and riders who will be judged on their performance and athleticism to respond quickly and cut sharply to keep the cow separated from the herd. This annual horse event will also feature vendors, NCHA classes and a buckle ceremony announcing the winners. For more details and to sign up for the event, visit www.pccha.com or call 209-727-5779.